I realize the Remembrance Day is on the 11th but I think the whole month of November should be dedicated to those that have lost their lives to ensure our way of life. 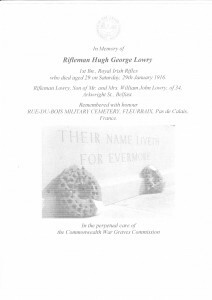 One of the best websites to find information on relatives of yours that served and were either injured or killed during the two World Wars is – http://www.cwgc.org. They have a wonderful site that is easy to navigate , well maintained and searchable. 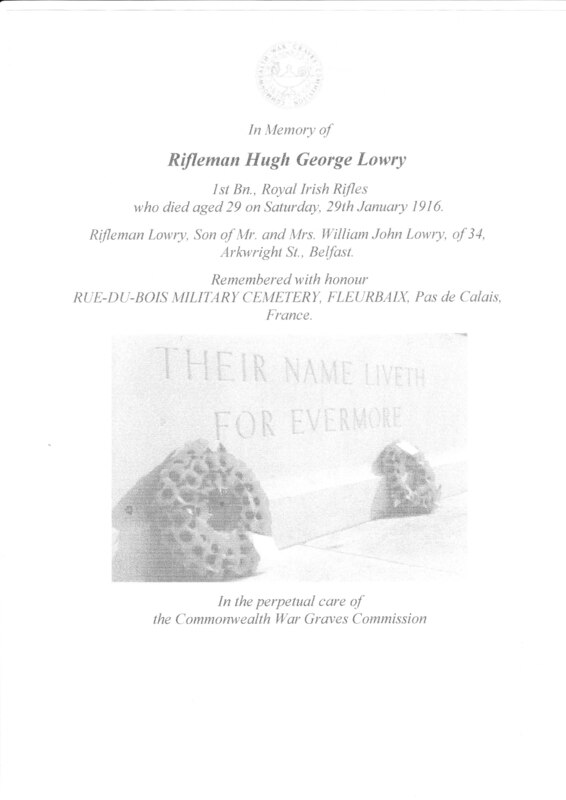 Their mandate is – “to ensure that 1.7 million people who died in the two world wars will never be forgotten.” Below is an example of one of their records, that of my Great-Great Uncle Hugh Lowry.